Facebook Update: Oops! I changed the password on my blog’s Facebook account (in response to Heart Bleed threat) and it appears my last 5 posts didn’t get linked to Facebook. Sorry! Winter. Snow. Snow tires. Shovelling. And flurries right up to April 30! Rom caught the fashion bug and spent the month trying to come up with a capsule wardrobe for work and leisure. We had fun reading men’s fashion magazines and blogs. Rom started shopping and will gradually create a small collection of looks and footwear. Maybe those stonewashed dad jeans will disappear! As mentioned in an earlier post, I have started formatting our everyday meal recipes for the iPad. We want to add photos but keep forgetting. 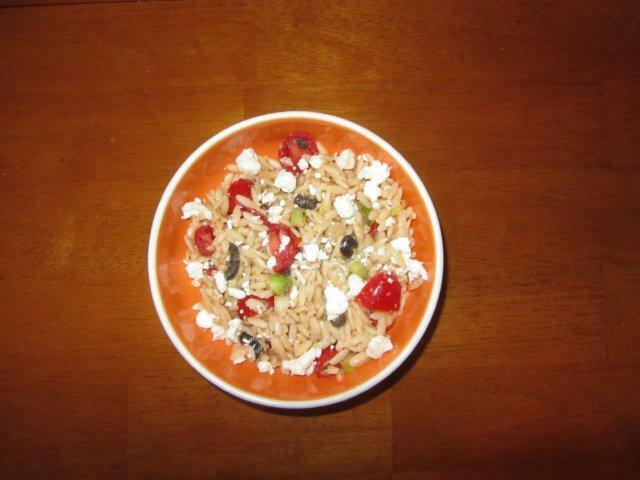 So it will likely be several months before we get through our regular meal rotation! I reached a deadline at work – all of the tenders have gone out for the renovation project at the library. So now there’s a lull until they are awarded and the timeline is set for construction. Meanwhile I have my annual intern, an aspiring librarian, for 3 weeks. A Black Sabbath concert. I had no confidence that Ozzy would keep it together, but he was very professional and managed all his cues and lyrics. I actually prefer every Sabbath singer except Ozzy (I liked Dio and Gillan), but I was pleasantly surprised. Never mind that their best songs were even before my time in 1970. Like all the other old geezers, we went out singing, “Generals gather in their masses, just like witches at black masses” – catchy tune! It was amusing that they had confetti cannons and a balloon drop at the end of the show; nothing scary there! I played Magic the Gathering with Rom. He is always so happy when I say yes, I really should oblige more often. I saw two movies. 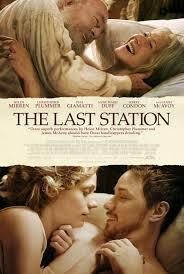 The Last Station was about family drama at the end of Tolstoy’s life. It had excellent performances by Helen Mirren and James McAvoy. 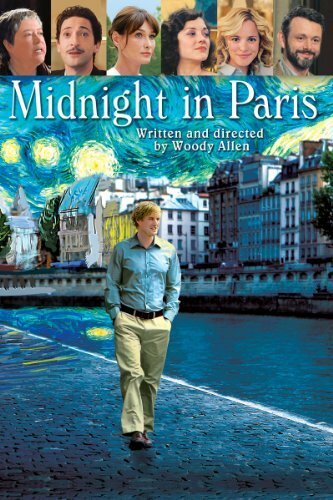 Other than it being biographical, I struggled with what the point of it was, but I would conclude it’s about the question, “Do principles come before people?” Midnight in Paris was about an unhappy engaged couple visiting Paris and the fallout when one of them escapes into the past. I really don’t care for Owen Wilson films, but I liked the premise of the movie, which explored the community of writers and artists in Paris in the 1920s, as explained here. I have been attending my book club regularly, and this month we discussed Nahlah Ayed’s journalist biography A Thousand Farewells. Every month we discuss a book set in a developing country. I have to say that after about 8 such books set in war time, conflicts or corruption, I question whether I can stick with it! But I like the company and maybe we can change direction. 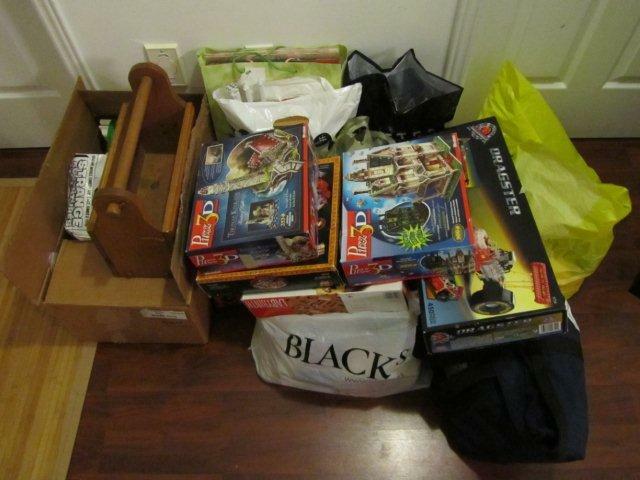 I was trying to participate in Laura’s decluttering challenge at No More Spending. I reviewed a list with our grown-up kid Link and was able to pass along quite a bit of stuff, especially toys and games, to a fundraising yard sale. Apart from our vacation, I felt that April was very ordinary. And there is nothing wrong with that. Now that’s heavy going for a book club!!! No, I couldn’t do a book set in a developing country every month. Sometimes we agree we need something uplifting, or light, after we’ve read a sad, or deep, or heavy book. Sometimes we agree enough already with the books set in SE Asia, or Australia, or wherever when we feel we’ve done a run of them. I enjoyed Midnight in Paris. Loved the scenery and set design. And loved the premise that each age looks back to a golden age. Don’t think I could hum any Black Sabbath song. Or have the lyrics stuck in my head. Hope you looked after your ears? The book club has been going since Sept and we just have one more book before taking a break for the summer. So it’s a good time to talk about changing direction. I liked those things about Midnight in Paris, too! I bring ear plugs to concerts now, as do lots of others. Adding to say, I think I should like some snow. Not the shovelling, nor changing tyres. But snow. And some snow flurries. Soft, and white, and clean, and pretty. I could snuggle up and break out another Little House book. Or does sound like a naive person who has never lived in the snow. And only travels to a little, tiny snow field once a year. And prays for snow, as the ski resorts are so expensive. We usually look forward to our first snow each year, and hope for a white Christmas, but after that it gets old! We would be hopeful for snow when ski and snowboard trips are planned because it’s not a given and doesn’t arrive when it’s convenient. We hope for snow to get a day off work, and hope for none when we have a flight out, etc. Now that makes me feel better and I will share with Mr Sans that snow is not always there when wanted in Canadian snow fields. He thinks of it as some sort of nirvana. And I do love the wish for snow to have a day off work. When we lived in a country town for a year in an area known for heavy rains and floods, the other teachers told us to get a house on the other side of a small creek so we’d get several extra days off due to flooding. The teachers in town never got the days off. LOL! Don’t think I will be moving to a flood plain, earthquake zone or forest fire mecca any time soon! I should look into joining a book club! I remember my mother and her best friend (a one time librarian married to a published author) used to have one. My April was nice thanks to Easter and the break away. Didn’t go to the cinema – it’s a habit that’s really slipped in the past few year, back from the heyday when I went up to 40 times a year! I did start watching a new TV series (Blacklist) and completed watching Breaking Bad. I’m also behind on my (revised) bible reading schedule, however, made great in roads this week with the new train travel, so that’s impressive. Some books are just SO long and heavy! I must get onto a decluttering focus – beyond putting things in the ‘outbound’ cupboard. Although I did return the loaned coffee machine to my parents, so it’s nice to reclaim that bench space (we didn’t enjoy or use it as much as I might have imagined we would back at Christmas). I belonged to one previous book club and it was used solely for socializing; the books just got a mention! It would be enjoyable to read or listen to books during commute times. I look forward to hearing how your job is going. I think sorting things for an outbound journey is good enough when you’re busy! We saw four films in April, Enough Said, The Way Way Back, About Time and Catching Fire (Hunger Games). Enough Said was my favourite, but they were all a bit meh! How cool that Rom got the fashion bug! It was good for me to get a nudge on the decluttering! When it’s all purchased, I will at least do an update! I have never stuck to a capsule wardrobe myself, but my everyday work clothes are actually quite limited. And basic versus fashionable. Yes, it would be great to get an insider’s view of a man’s ‘capsule wardrobe’. Also looking forward to the everyday meal recipes but it does take time to compile things like that. How cool to see Ozzy in concert! I don’t understand Magic the Gathering but it was such a popular thing in the library at my old job. 20-30 people playing every lunchtime. Will follow up on some of those things when I can! Was thinking of getting HBO added to our cable subscription for Game of Thrones, but it is only available bundled with a movie network for $20/month, so decided to pass. April was a little too busy for my liking, so I’m looking forward to slowing down in May. And maybe getting a little decluttering done myself! My library offers a book club, but I’m torn. I’m hesitant to join because I really don’t like the pressure to read a book or being required to read something. It often lessens my enjoyment of the book right from the beginning. But then sometimes I feel like I need that push to read outside my comfort zone. I am pretty sure the snow is done, but our last frost / first planting date is usually around May 21. I have exactly the same feelings about my book club – sometimes the pressure is motivating, and sometimes it feels like a burden. But I really do like socializing and discussing something in addition to everyday life, so I expect to continue for that reason! You live such an interesting life! While we do some things for entertainment, I like how well rounded the things you do are–travel, reading, food, books… very cool! Glad you had a good April! Thanks, April! Some people in my personal life think that my life is boring (librarian, goes home and reads books) but it suits me just fine! Well, I’m glad it’s over as we had little sign of spring, too. But, I got seedlings planted in the basement under lights. Cleaned out the drawers I had on my list. Today it hailed (!) 3 times. Good grief. Hail – and I thought we had it bad! You had a productive month. I would like to hear more about your volunteer program. When are you starting a blog? (hint!) I am especially impressed that you planted seedlings early.